Martha is a native of Denver, Colorado, and graduate of Lake Forest College with a major in history and a minor in education and a lifelong equestrian. She showed hunters in Colorado, southern California and has taught riding to many children and adults in California, North Carolina and in Virginia. She particularly likes to see “horse crazy” kids fulfill their dream of riding, or sometimes just being around horses. 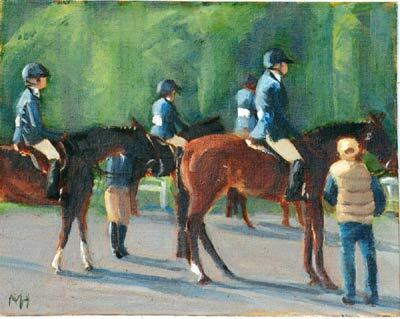 Martha started painting as a young adult and is largely self taught. 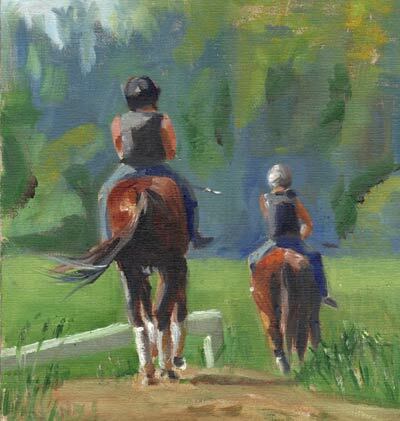 Determined to capture the nature of equines and also the allure of country life, she paints a variety of subjects she sees everyday around her small horse farm. 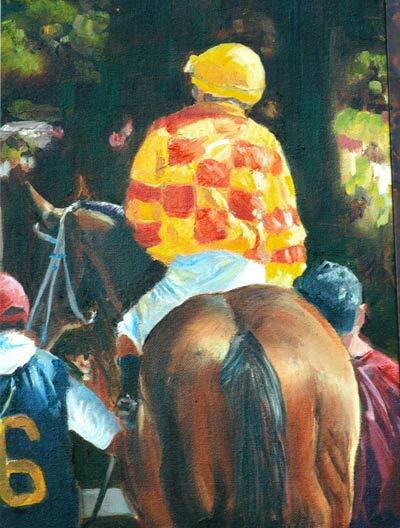 She works primarily in oils, but dabbles in acrylics, watercolors and pastels. Her work is shown in The Arts Center in Orange and various art shows in Virginia. Her career includes fundraising, event planning, and marketing. She held the position of Marketing Director for several shopping malls and tourist properties in California and North Carolina. 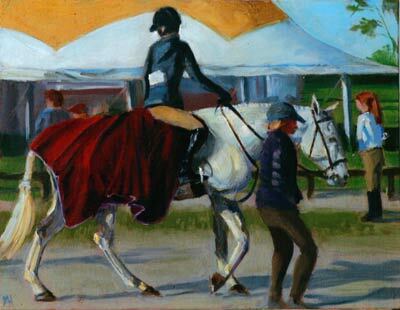 Now the Executive Director of Montpelier Hunt Races she combines a love of and participation in equestrian sports with her marketing and fund raising background.